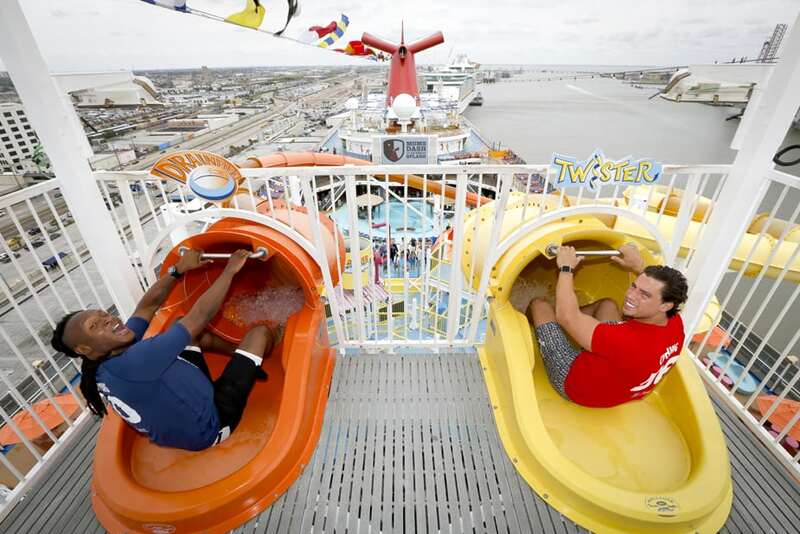 When Carnival Cruise Line commissions a new ship in Texas, they do it a big way. 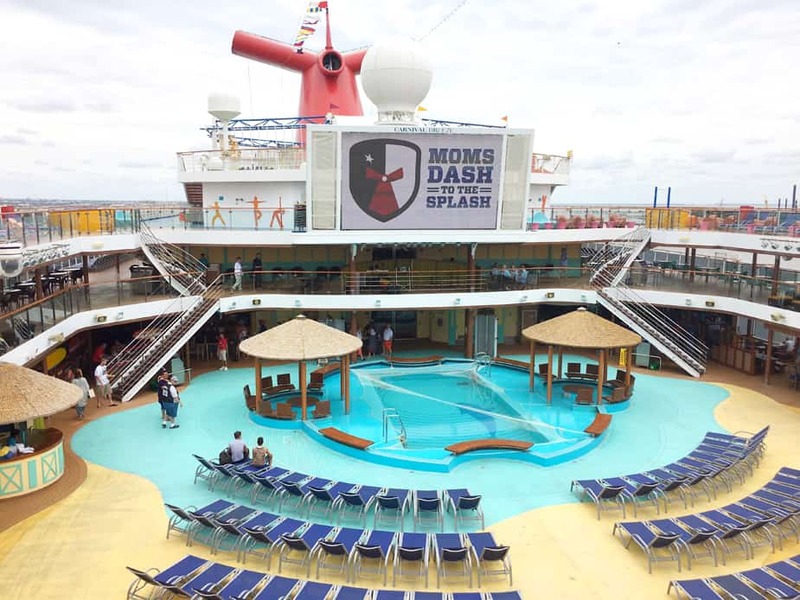 To celebrate the arrival of the Carnival Breeze, the cruise operator hosted “Moms Dash to the Splash,” a fun onboard event featuring Houston Texans players, wide receiver DeAndre Hopkins and linebacker Brian Cushing. I attended the event to celebrate Mother’s Day with my mother and sister. When we entered the ship, we were escorted to the elegant dining room for brunch. The four-course meal featured fresh fruit, eggs benedict, breakfast meats, grilled salmon, chicken, omelets, pancakes, an assortment of desserts, and bottomless mimosas and Bloody Marys. I ordered the filet mignon with eggs over medium along with a bagel and smoked salmon. I didn’t realize that my meal also included grilled potatoes and curly fries. When the server brought my dishes to the table I was overwhelmed by the amount of food that he placed before me. And this was before he delivered the salted caramel cheesecake I ordered. My eyes were obviously bigger than my stomach. But I wasn’t going to allow this smorgasbord to intimidate me. I took a deep breath, gulped down a mimosa, and tackled the mountain of food. After a few minutes of indulgence, I came up for air because I was stuffed. I sipped black coffee to stave off the food coma and awaited my dessert. I became envious as I watched the server place heart-shaped chocolate cakes in front of my mom and sister. 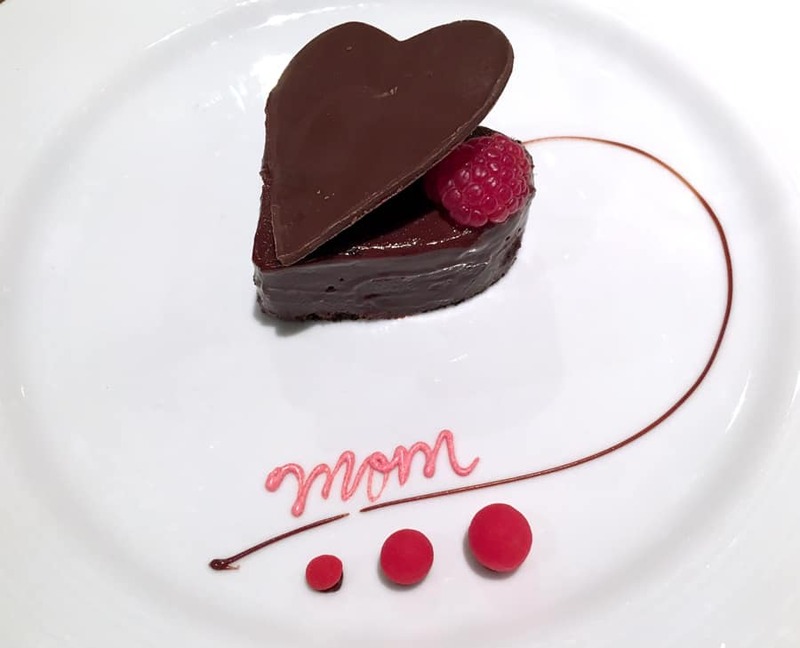 It was a special Mother’s Day treat. Thankfully, my mother doesn’t like chocolate. I traded my cheesecake for her chocolate cake. I forced myself to eat the whole thing because each decadent morsel was too precious to go to waste. As we ate, a traditional maritime plaque exchange between Carnival Breeze Captain Vincenzo Alcaras and Port of Galveston’s Director Mike Mierzwa occurred to officially welcome the Breeze to port. After brunch, we went to the Lido Deck for a pep rally featuring the Houston Texans Cheerleaders and the Deep Thunder Band. 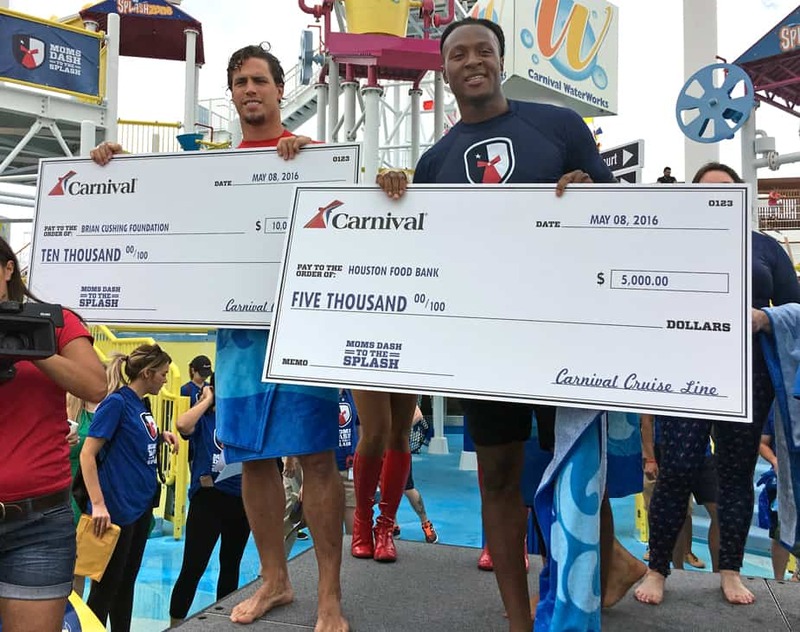 The band and cheerleaders got the crowd pumped to cheer on Hopkins, Cushing, and their respective teams of locals in a head-to-head water slide race on Carnival Breeze’s massive 312-foot-long Twister and exhilarating DrainPipe. Before the race, Cushing confidently guaranteed a victory. The linebacker made good on his boast by winning the competition. His victory secured $10,000 for the Brian Cushing Foundation, which assists and supports military families. Although Hopkins didn’t win, he was gracious in defeat. As runner-up, Team Hopkins received $5,000 for Houston Food Bank. “My family used the food bank when I was growing up and I knew that when I was older and able to give back, it was a charity I wanted to support,” Hopkins said. 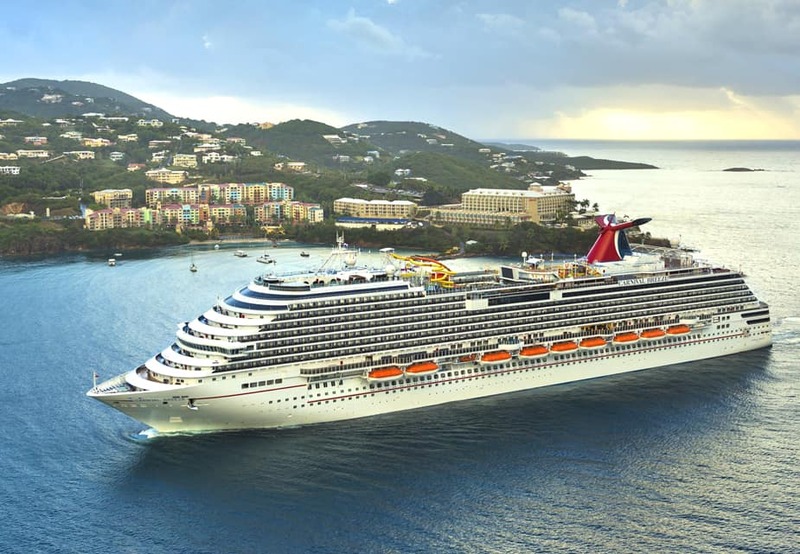 The arrival of Carnival Breeze to Galveston further bolsters Carnival Cruise Line’s position as Texas’ most popular cruise line with three year-round ships carrying more than 650,000 passengers annually.